Chinese multinational ZTE took the spotlight at CES 2017 to announce two new smartphones. The company introduced the Blade V8 Pro in the US market, flagging of the entry of its Blade series into the market. The Blade V8 Pro comes with dual rear cameras and a fingerprint sensor underneath the Home Button. Alongside, ZTE also announced the Hawkeye smartphone. This device is the result of Project CSX, a community driven open-source project that aimed to use consumer feedback and to make devices accordingly. After paying heed to community feedback, Hawkeye was finally unveiled at CES. Talking about the ZTE Blade V8 Pro first, the smartphone sports a 5.5-inch full-HD (1080×1920 pixel) display with 401ppi pixel density. The display is protected further with Corning Gorilla Glass 3. The smartphone is powered by the 2GHz Qualcomm Snapdragon 625 octa-core processor paired with 3GB RAM and Adreno 506 GPU. It offers 32GB of internal storage that is expandable further via microSD card (up to 128GB) in a hybrid dual-SIM configuration. The ZTE Blade V8 Pro comes with two 13-megapixel lenses that support dual-LED flash, PDAF, face detection, and a dual camera mode that can produce bokeh effect images. It comes with an 8-megapixel front camera with flash for night selfies. The smartphone packs a 3140mAH battery that supports quick charging and claims to last up to 24 hours of talk time and 23 days of standby time. It also supports hybrid dual-SIM slots (Nano + Nano), and runs on Android 6.0.1 Marshmallow. Connectivity options include 4G (LTE Cat. 4), Bluetooth v4.2, Wi-Fi 802.11 a/b/g/n/ac, Wi-Fi Direct, GPS, USB Type-C, and NFC. The ZTE Blade V8 Pro weighs 185 grams and is available only in Black Diamond colour option. The smartphone is priced at $229.98 (roughly Rs. 15,700), and the company is currently taking pre-orders. Pre-order customers are entitled to get a Co-Mold Protective Case free. 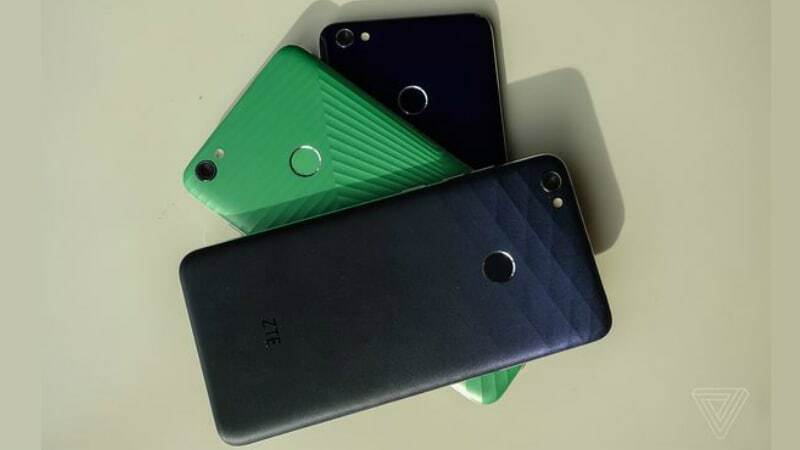 ZTE intends to keep the pre-orders open only till January 17. Back in August, ZTE launched Project CSX – its attempt to crowdsource ideas for successful products. Based on entries, the company announced the winning entry from the contributions in October – an eye-tracking, self-adhesive smarthone. Now, the company is finally ready with the smartphone, and is calling it Hawkeye. ZTE showed off the phone at CES, and while the smartphone really doesn’t stand out in the crowded market, its eye-tracking tech could lure some gaming enthusiasts. With that being said, the Hawkeye is still just a concept phone, and the final release could be something else altogether. ZTE plans to release the community-driven phone sometime in the third-quarter, but it is putting it up on Kickstarter for crowdfunding at $199 (roughly Rs. 13,500) from Thursday.